This GPS bracket bar from Touratech gives you a solid attachment point on your Honda Africa Twin. 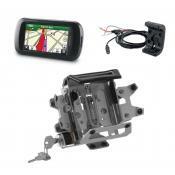 for any one of our locking GPS mounts. 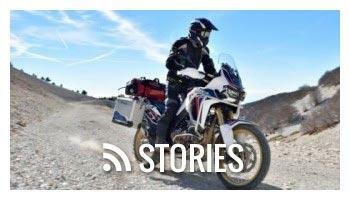 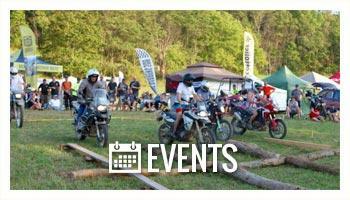 Gone are the days of trying to read shaky GPS screens or dealing with broken plastic pieces. 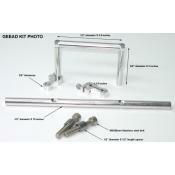 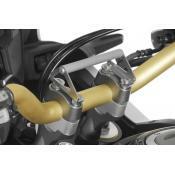 Made of stainless steel and anodized aluminum, this handlebar mounting adapter is built to go the distance. 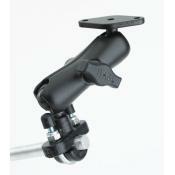 The GPS mount adapter provides a sturdy 12mm (1/2 inch) diameter mounting bar that is intended for mounting any of our locking GPS mounts. 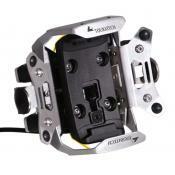 It can also be used for roadbook holders or any other device that uses a 1/2" clamp. 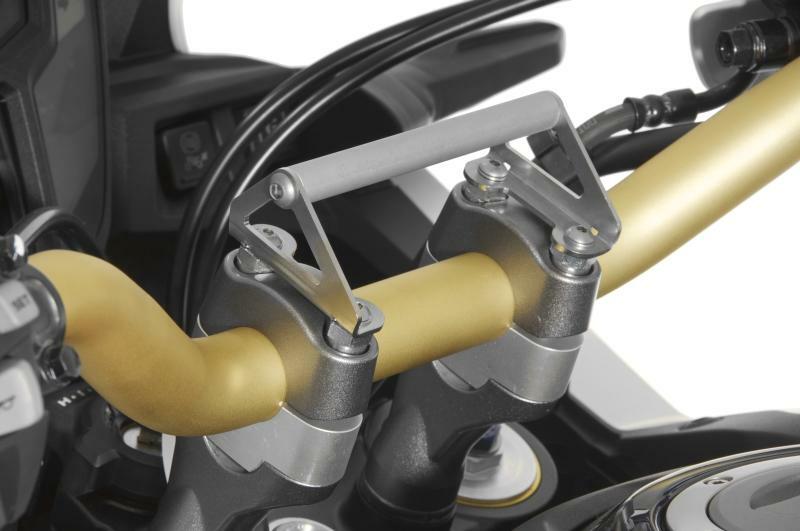 If you have Touratech 20mm Bar Risers (part# 402-5255 or 402-5254) installed on your CRF1000L, order the part 402-5411 which includes longer bolts.